Born in Swansea in 1922 during the Great Depression, Jack Jones served in Egypt during World War II before taking up teaching, resulting in his appointment as the Head of English at Barnes Grammar School. He began painting in 1953, but it wasn't until 1972 that he became a full time artist. 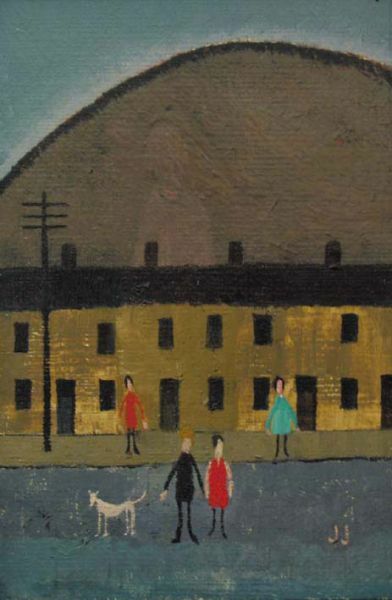 Self-taught, Jones' inspiration came from his childhood in the heart of industrial Swansea, its characters, landscapes and warm community. He is often, with some justification, described as 'the Welsh Lowry'.